Creating pot brownies is quite simple. You can just use a boxed brownie mix, like included in the recipes below, or you could whip up your own. The key is to use a weed-infused fat like oil or butter. Don’t use raw weed. We were kidding about that. 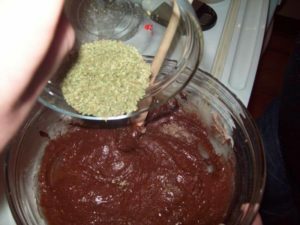 Take your time and make special brownies using cannabutter. You and your stomach will thank us later. 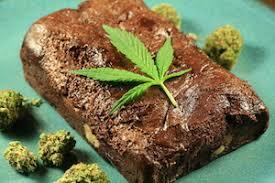 Here is a basic recipe for making super awesome, effective and tasty hash brownies. – Heat the oven to 175 degrees celsius and grease a baking tray. 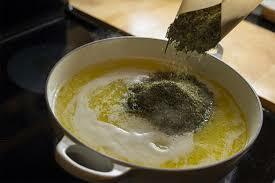 – Melt the cannabutter by heating it in a saucepan. Then add all the brownie mix ingredients, mix it all up and pour it into the baking tray. – Bake the brownies for about 10 – 15 minutes but don’t over do it. – Mix all the icing mix in a saucepan over a flame until thick and creamy. Pour the icing over the hash brownies while they are still hot. – Leave the hash brownies to set and cool down a bit before chopping them up and serving them.